HOUSTON, Texas -- The mystery of Tom Brady's missing Super Bowl jersey led police all the way to Mexico, and authorities were investigating a former tabloid newspaper's executive possible role in the case. Police and the NFL announced Monday that Brady's jersey, which went missing from the locker room after the Patriots' 34-28 overtime win over the Atlanta Falcons last month, had been found in Mexico. The NFL said the jersey was in "possession of a credentialed member of the international media." A Mexican newspaper company, the Organizacion Editorial Mexicana, said on Twitter a short time later that a former executive from the tabloid La Prensa was involved. But it did not identify the executive, and said a statement was expected later in the day. The missing jersey - and the subsequent investigation - captivated Patriots fans and social media for several days after the Super Bowl. 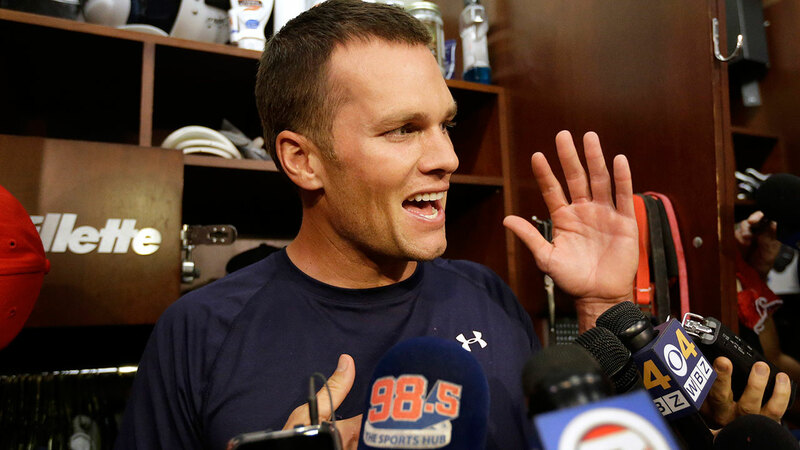 Brady lamented the theft after the game. "If it shows up on eBay or something, somebody let me know," he said. It wasn't the only piece of memorabilia recovered. Police also located a Brady jersey that had gone missing after the Patriots' 2015 Super Bowl win over the Seattle Seahawks. A Super Bowl helmet belonging to a Denver Broncos player was also found, NFL spokesman Brian McCarthy said. Houston police chief Art Acevedo proudly congratulated his team on finding the jersey, but was equally quick to say it wasn't a "top priority" in a city with violent crime. He described the theft as the only blemish on an otherwise successful Super Bowl. "You don't come to Texas and embarrass us here on our home turf," Acevedo said. Brady's agent did not immediately respond to emails. A Patriots spokeswoman said the team had no comment. "We are highly confident that these are the jerseys," Acevedo said.